Custom closet solutions is exactly what it is, custom made to your needs, because closet organizations should not be one size fits all. And depending on your design and customization, the cost will vary. For example, do you require extensive storage with drawers? Slanted shoe shelves? Hydraulic pull-down rods? In general, the price of a custom closet is calculated based on the size of your closet, material used to build the closet, accessories you choose, the finishes, and any details like painting, lighting& flooring etc. See how each category can affect the overall cost of a custom closet system. 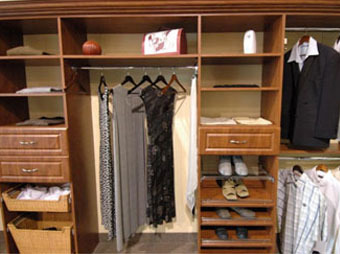 A basic reach-in closet with two closet units (one full hanging closet and shelving on the other side) starts at $500. A larger classic reach in closet organizer. It features more hanging space, shelving and drawers than a basic system and starts at $1500. This taller and larger closet organizer comprise of more accessories (ie shoe racks) and enhancements (ie crown moulding). Price starts at $1800. 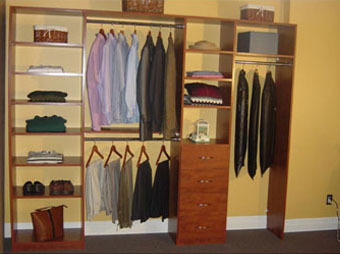 Closet systems that require extra height or width is an added premium which will increase the price. The standard material used for the majority of custom closet systems are mostly raw pressured laminate with profiled MDF for the doors and drawer fronts. However, if you prefer premium materials like plywood, wood veneer or solid wood, it can also be done. The colour choice also affects the pricing. White is the lowest cost with antique white adding 10% to the price and other colours 30%. Polished chrome, matte nickel and oil brushed bronze are standard hardware finishes you can choose from. Other styles are usually available through special orders at a premium. When it comes to accessories, there are a lot of things you can really customize your closet with. Jewelry & lingerie drawers, belt & tie racks, shelf dividers, pants racks are just a small selection of the items you can choose from. Of course, each item comes with its own price tag. Each item may range from $50 to over $200. Framed glass cabinet doors, decorative molding, cabinet lightings are examples of customizations you can add to your custom closet. 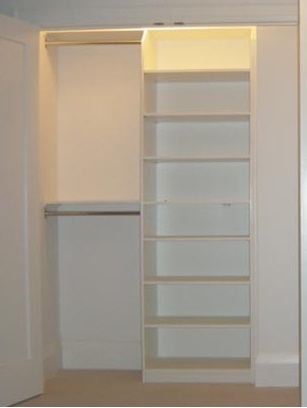 You can easily double or triple the price of a custom closet by adding enhancements to your system, even if you don’t change the design at all. 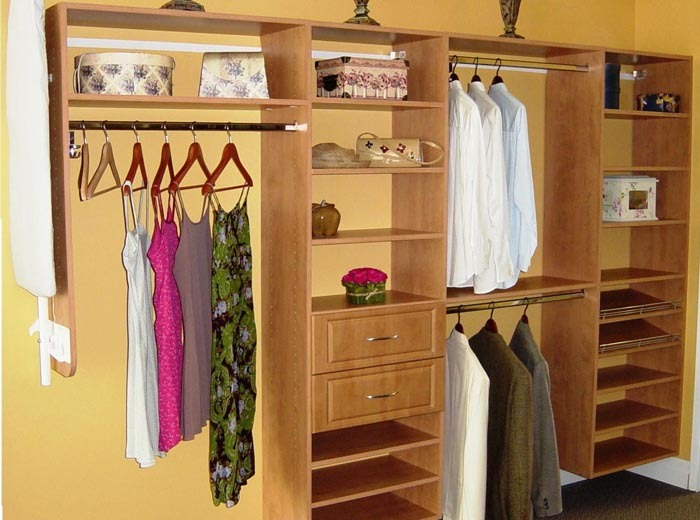 Custom dressing rooms built by turning a big room into a closet can also be achieved. With added material cost as well as detailed finishes, these high end projects start from $10,000. At Millo Closets & Custom Cabinetry, we offer a range of designs and customizations that suits every style. Contact us for a free design consultation and see how we can transform your space into your dream closet within your budget. My husband and I would like to tell you how thrilled we are with our new library. This room exceeded our expectations. Thank you and your team for a wonderful job. We would also like to express how impressed with the crew. They were so thoughtful of us during the two days of installation. Very prompt, polite and considerate of our input. Extremely efficient and hard working. What a lovely surprise that they even vacuumed after their own cleanup.